Styled with olaf tube top cropped and cohen pant wool . 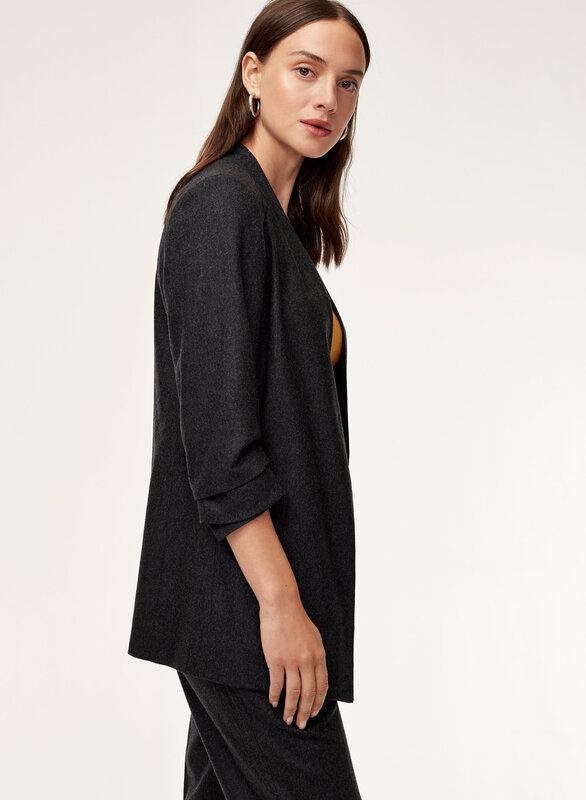 This version of the streamlined Babaton blazer is tailored with a cozy mix of wool and cashmere with subtle stretch. 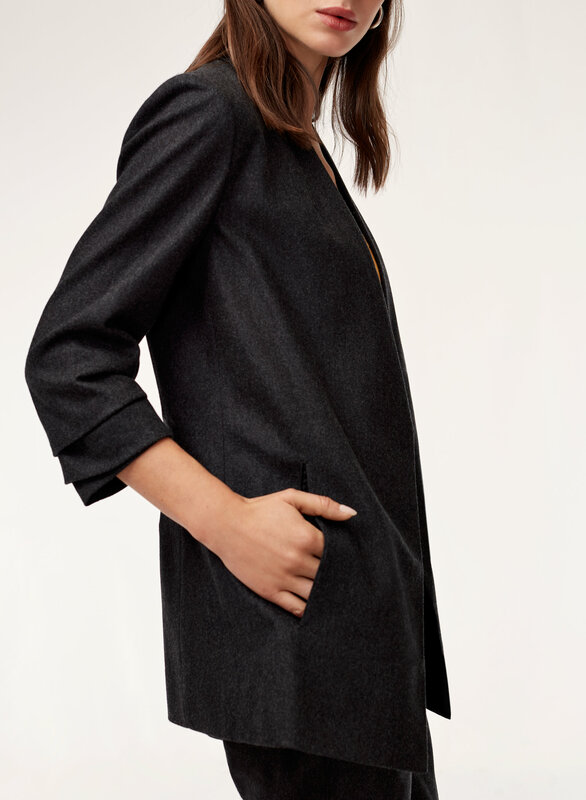 The subtle shawl collar and pushed-up cuffs give the piece a modern feel. 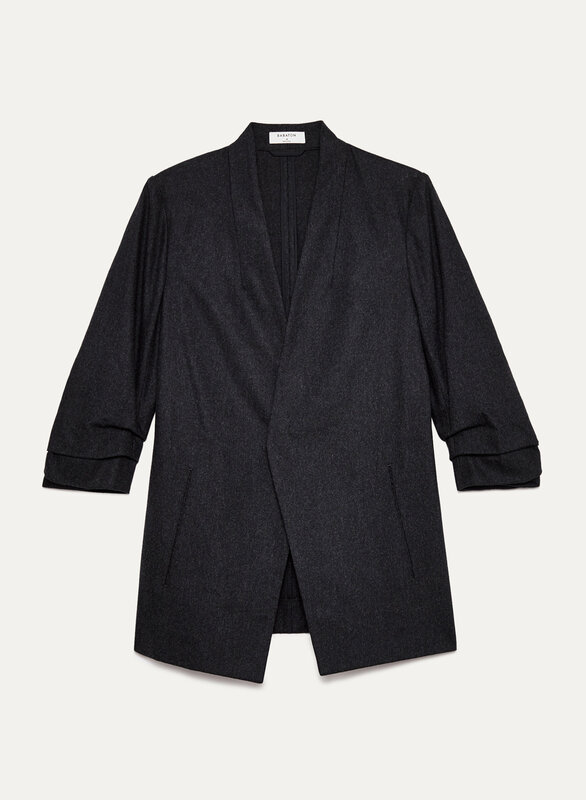 The wool version of this blazer fits slightly looser than the Japanese crepe material. Still looks great, can be dressed up or down. 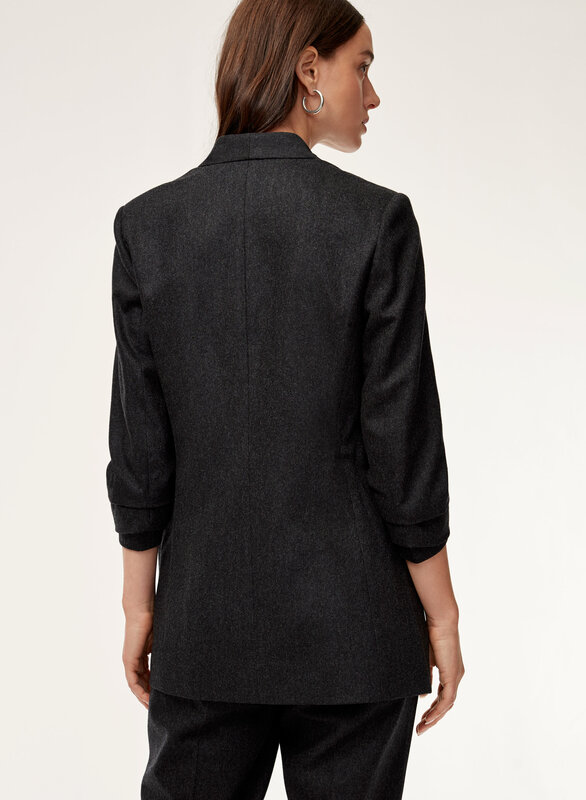 Bought this blazer during the Boxing Day sales & love It! It slims you out and it's super lightweight! It's great for the office or casual nights out. I found it fit true to size. Size up if you want a more loose look. It's such a classic staple.